KATAOKA – UNFLINCHING MIND IN DEVELOPMENT WORK. Kataoka Machine Tool Mfg. Co. Ltd. – Okazaki, Japan established in 1946, a leader in Japan and the world for machining piston rings and camshafts. Since 1946, Kataoka has been firmly maintaining the development and manufacturing of machine tools designed exclusively for machining piston rings and camshafts which are indispensable components to be incorporated into the engines of automobiles, LCV, HCV, ships, locomotives etc. Piston Rings & Camshaft are considered as two of the five complex parts of an engine to be manufactured. 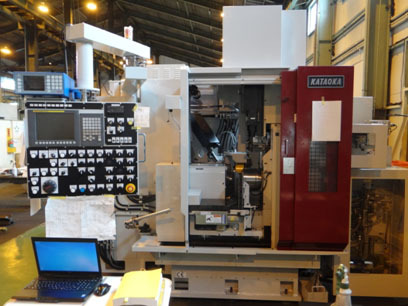 KATAOKA Engine has continued the development of special-purpose machine tools that go ahead of our times. As a result, Kataoka has succeeded in the commercialization of as many as 85 types of special-purpose machine tools for Ring profile turning, grinding, polishing, lapping, marking, gap cutting & milling etc. various piston rings to be used in various engines of motorcycles, passenger cars, large-sized trucks, ultra-large-sized ships, etc. 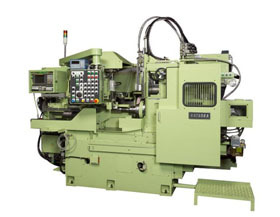 For camshafts, Kataoka has commercialized 6 types of machines: cam milling machines for camshafts of various engines to be mounted in passenger cars, trucks, generators and ships, cam polishing machines for super-finishing after grinding, and composite machines for cam grinding, journal grinding and key-groove milling. Kataoka drives themselves forward to satisfy customers’ needs of machines for camshafts with enthusiastic development spirit the way they are doing with development of machines for piston rings. For Camshaft: cam milling machines, composite machines for cam grinding, journal grinding, key groove milling, Superfinishing machines etc. For Piston Rings: Cam turning, turning, boring, milling, grinding, lapping, marking, etc. 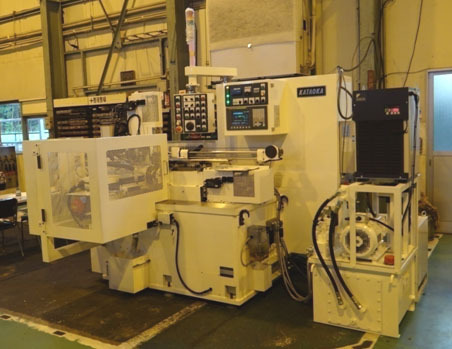 Kataoka’s innovative approach to machining technology has made it possible for them to develop machines with superior performance, simple operating commands and improved functions. 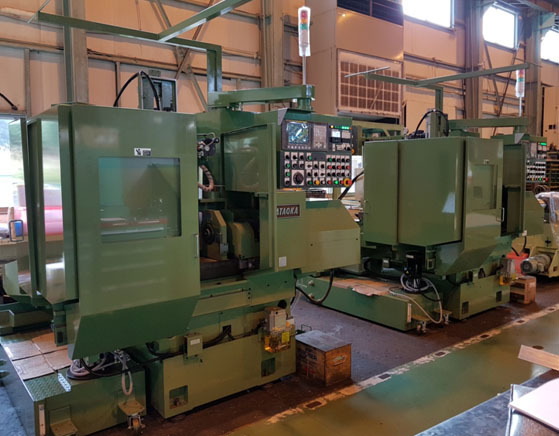 Kataoka’s unique approach to customer service, which emphasizes consultation and dialogue, enables them to offer machinery that fits exactly to the customer’s requirement. Kataoka does not limit efforts to the markets of piston rings and camshafts. Based on their technologies and know-how accumulated for a long time, Kataoka has also commercialized 5 types of machine tools, including grinding machines for the inside diameters of seal rings for rotary engines and turning machines for non-metallic special seal rings for automatic transmissions. 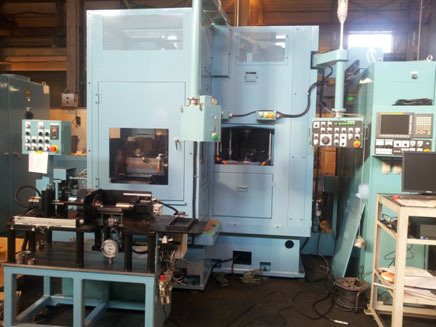 Thus, Kataoka has developed as many as 96 types of machine tools. 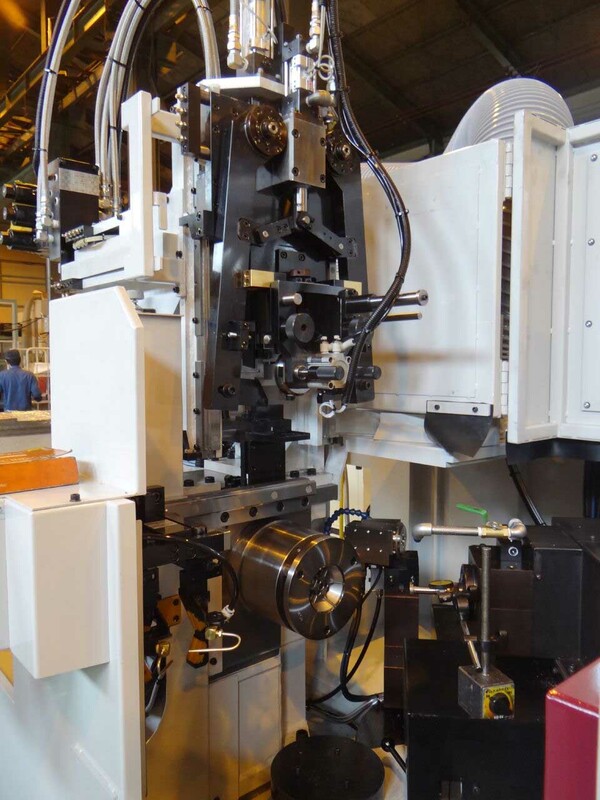 Gap Grinding Machine & OD Chamfer etc. Standalone Ring & Spacer Stacking System etc.